The flat panel processor is a versatile machine to disassemble a large range of LCD panels. The processor allows for secure extraction of the fluorescent lamps and separation into the different fractions. The processor can be fed manually or mechanically via conveyor belts. The FPP cutters automatically make 2 cuts at the perimeter of the panel, allowing for clean and safe separation. 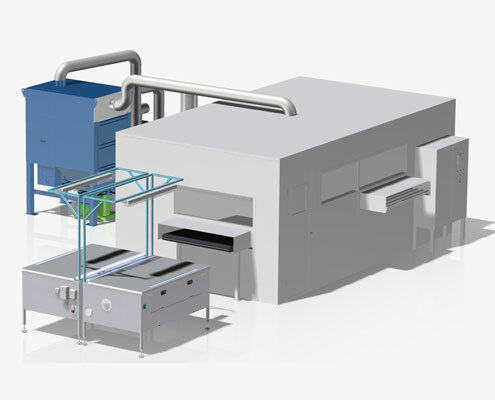 The processor can be fed with panels up to 1600mm x 1200mm and 60kg. Let us show you how the FPP60 works – take a look at our Youtube channel och download the video.